Songs unleash a whirlwind of nostalgia for Gandhi. A track that takes her back to schooldays is Good Riddance by Green Day. “It would be played at the end of the academic year to commemorate the term that had gone by. Even when I hear it now, some of my fondest school memories come to mind,” she reminisces. Her singing career took off while still in university, winning competitions and opening concerts for the likes of Sonu Nigam and Kailash Kher. “I had a great time performing sold-out shows at the Microsoft Theater in LA, my favourite venue,” she adds. Soon after Gandhi’s Bollywood playback debut in Chennai Express, A.R. Rahman came calling, which she considers the biggest break in her career. 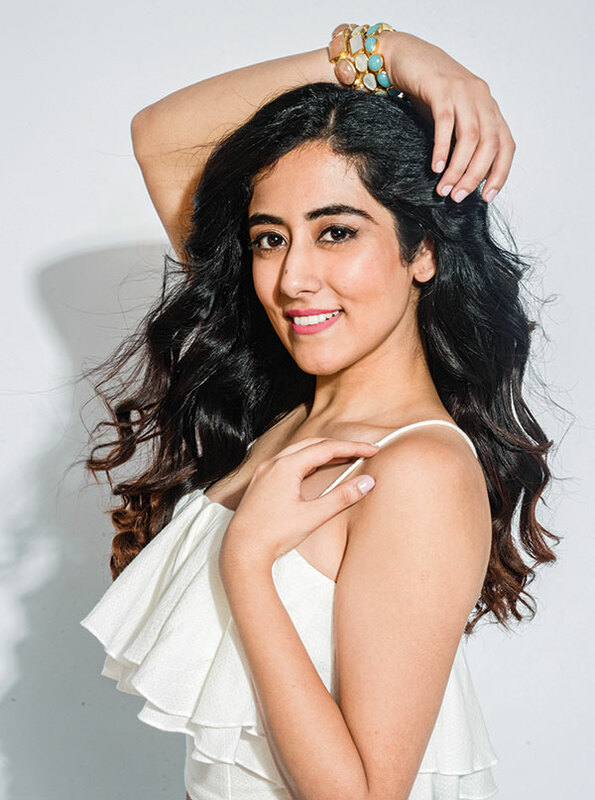 On her experience working with him, which began with Kahaan Hoon Main in Highway (2014), she says: “He inspires singers to push the boundaries. I’ve had some of the most fun sessions, experimenting with different singing styles and sounds my voice can make.” A well-known name in South India, her repertoire includes 2016 chartbusters like The Breakup Song from Ae Dil Hai Mushkil as well as the soothing Gilheriyaan from Dangal. Working with Rahman is on every artist’s bucket list. Having struck that off, learning how to play the guitar features next on hers.